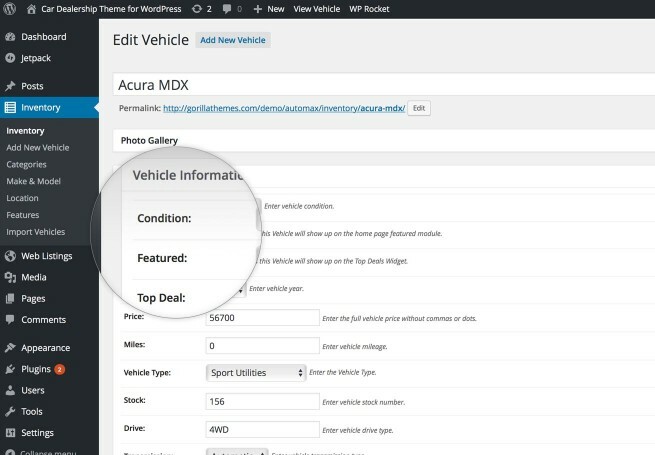 A complete WordPress auto dealership theme solution, sell ads and get paid per post instantly via Paypal, decode vehicles with the included VIN decoder, search and sort by stock number and all vehicle features. 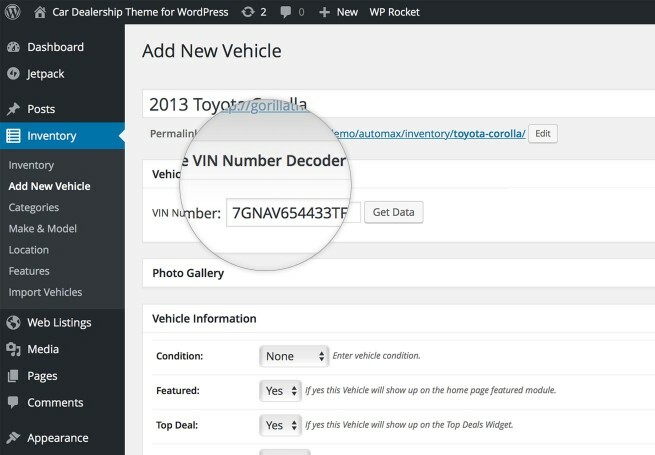 Using Automotive VIN Decoder is the easiest way to add vehicles to your inventory, vehicle information can be added via VIN decoder or manually entered in each car listing in the Inventory administration module. 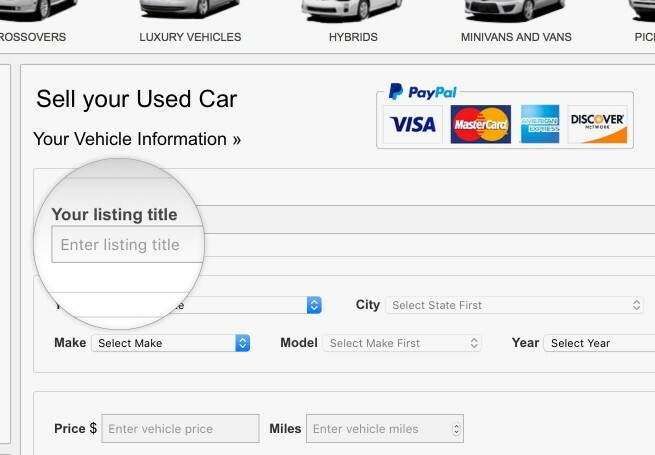 One click download of any listing Car Window Sticker in PDF format, add your own words, advertise sales, add store hours, phone, logo and vehicle features in the Car Window Sticker module. 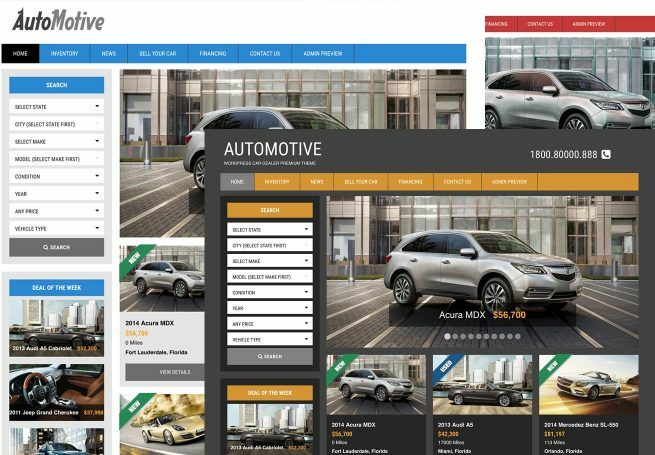 With Automotive theme you have unlimited styles possibilities. 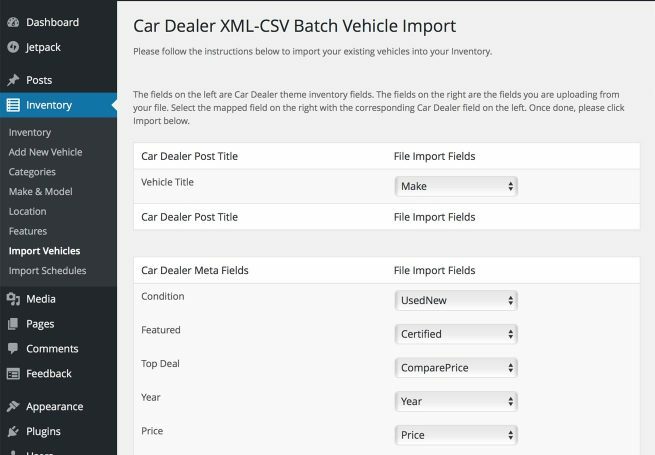 Only once map all external fields to Automotive fields. 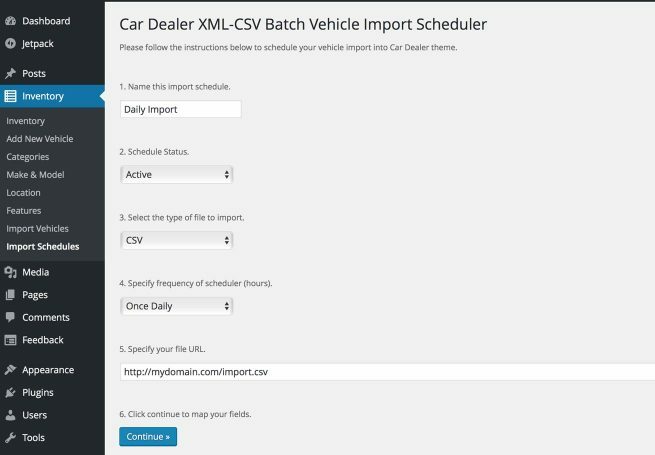 For one time import of XML or CSV files together with the Automatic Scheduler Import module Automotive ships with an easy to manage CSV or XML file import to migrate your inventory to WordPress Automotive theme in 3 easy steps. 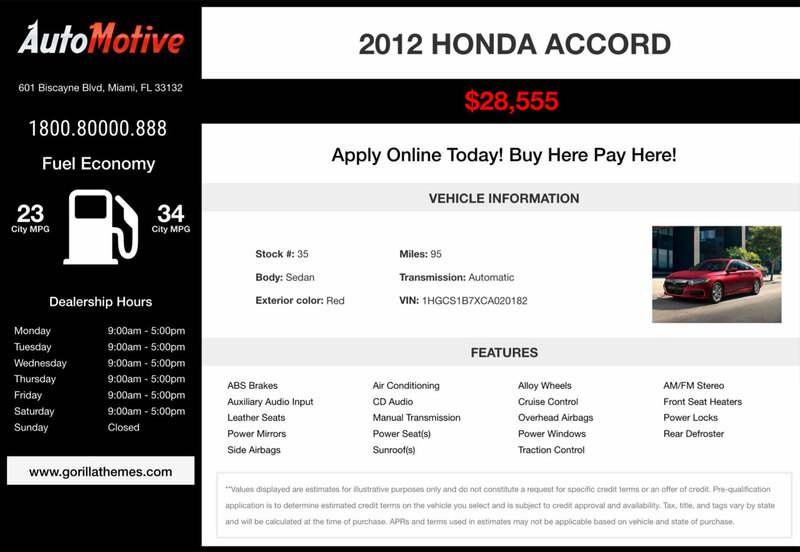 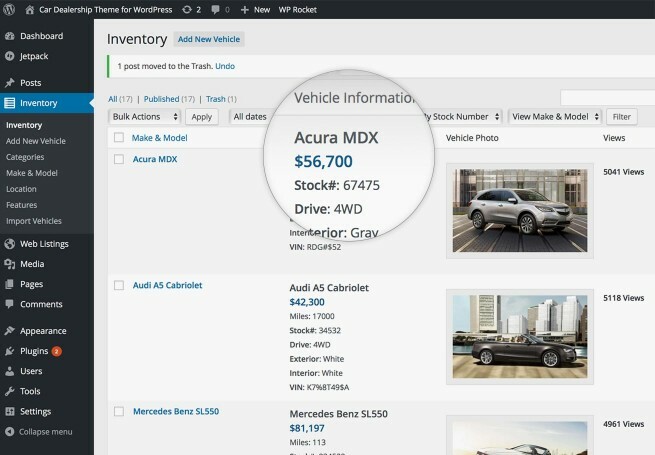 Map your previous inventory fields to Automotive fields together with photos, categories and all vehicle information. 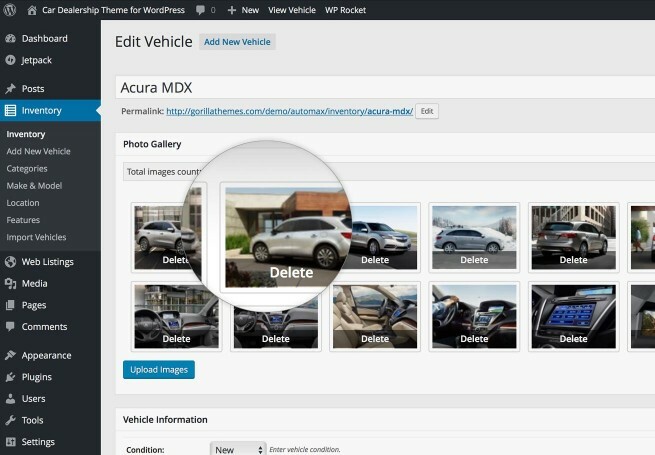 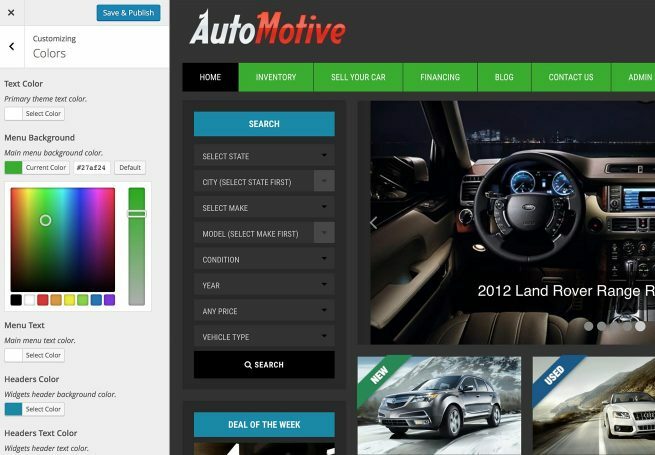 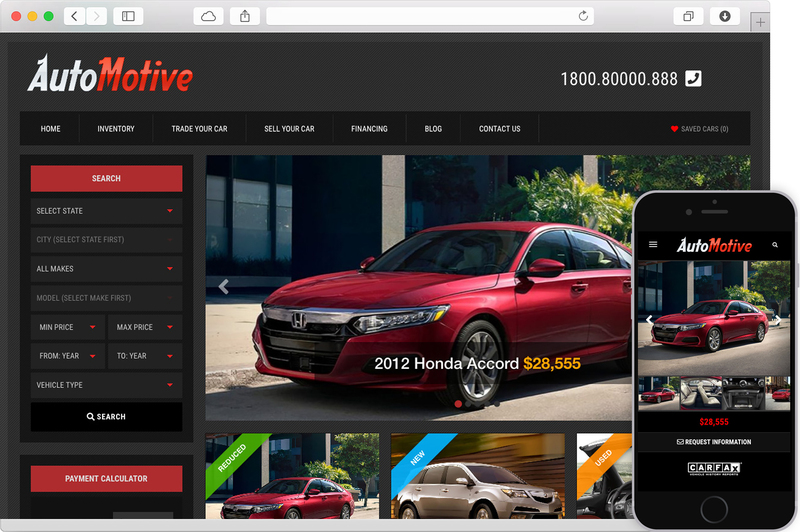 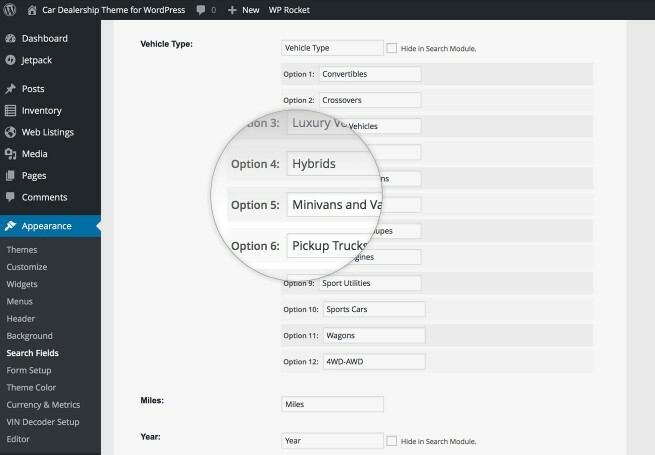 WordPress Automotive theme widgets will give you the option to show and hide almost any part of the theme from your visitors and making Automotive a very flexible theme to showcase your car listings.